When you’re on vacation, exercise might be the last thing on your mind. 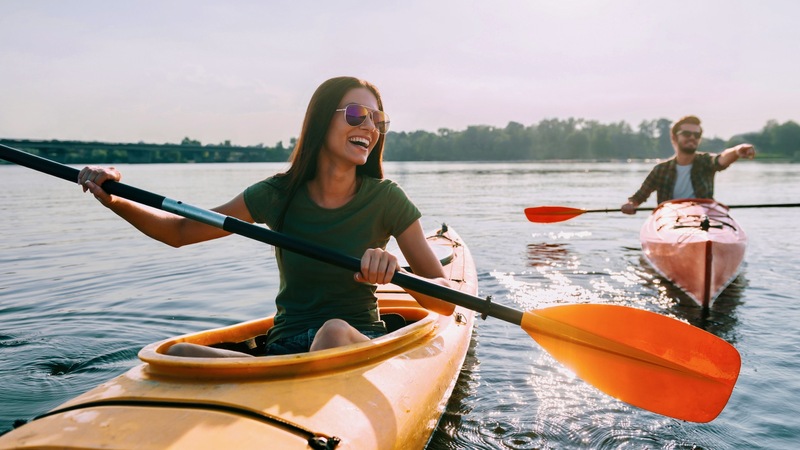 But even if all you want to do is lay down and relax, working out can still be a fun part of your trip and a great way for you to stave off those holiday pounds. Whether you’re lounging around in Italy or touring Japan, it’ll make those gelato cones and sushi rolls that much more worth it. Riding a bike is a good way to get active without having to think about it. It’s no wonder bike tours are particularly popular in European countries allowing travellers to absorb some of the continent’s most scenic landscapes and breathtaking views on two wheels. Alternatively, you could also bring your own foldable bike, which will also help you save on transportation costs. The Wirecutter suggests the Dahon Mariner D8 or the Brompton S6L — both incredibly light and easy to pack. Most destinations offer outdoor activities to get your heart rate and adrenaline levels up. If you’re hitting the beach, there’s no shortage of sports like surfing or swimming — great workouts that will let you flex every single muscle in your body. But if you’re looking for something more light-paced and leisurely, you can try your hand at snorkelling or kayaking. Meanwhile, if you’re making your way to mountainous areas, you can challenge yourself by going on a hike or a trek. The added weight from your backpack will upgrade your workout and help you burn even more calories. For the ultimate “no excuses” card, simply book a hotel with a gym or fitness facilities. It will be easier to sneak in a workout in the morning before you start your day, or in between business meetings. It doesn’t have to be anything fancy, but if you’re picky, head over to CNN’s list of best hotel gyms in the world. Another unique and free way to sightsee is to go for a run. Whether you’re in the city or in the countryside, running will let you get familiar with the neighborhood as you get settled in. For chilly climates, Woman Within’s cotton yoga pants are very useful to pack because they can be used as both activewear and for traveling around cities. This makes them perfect for minimalist packers who prefer double duty clothing. Pair them with a comfy pair of shoes and you’re good to go. Sometimes, all you need is yourself and some open space. Even your usual moves like push-ups or lunges can be done in the comfort of your own hotel room. But if you’re looking to amp up your workout, Perform Better’s Exercise Mini Bands will do wonders for your outer thighs, glutes, back, chest, abs, and arms. They’re so lightweight that you can just stuff them in your purse. Feeling inspired by these ideas? While you’re at it, check out our previous post on Healthy Living and Travel for more ways to stay healthy while traveling.